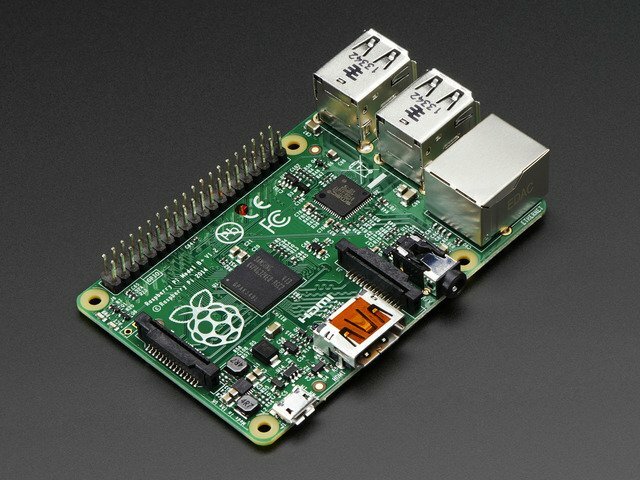 Its the freshest new Raspberry Pi, let's check it out! 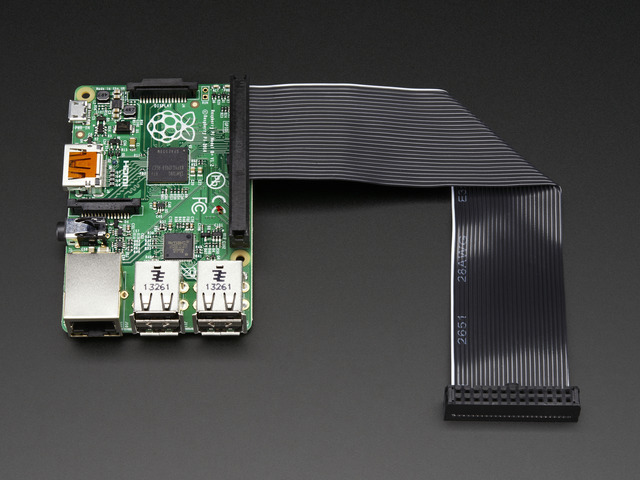 OMGOMGOMG ITS A NEW RASPBERRY PI! Yep, that's right, the fantastic engineers at Raspberry Pi HQ have blessed us with a new design. They've taken all the feedback over the last 3 years and rolled out a nice updated Pi with many fixes and extras...all at the same price! Pick one up today at the Adafruit shop! PiTFT - pinout and electric-wise it works and is tested, but our custom PiTFT kernel does not support the new USB/Ethernet chipset. We're working on it and hope to release a new version soon! Any USB-based devices, WiFi dongles, etc. Any displays that are NTSC-based - they just need to have a proper A/V cable that brings out the 4th Video pin! 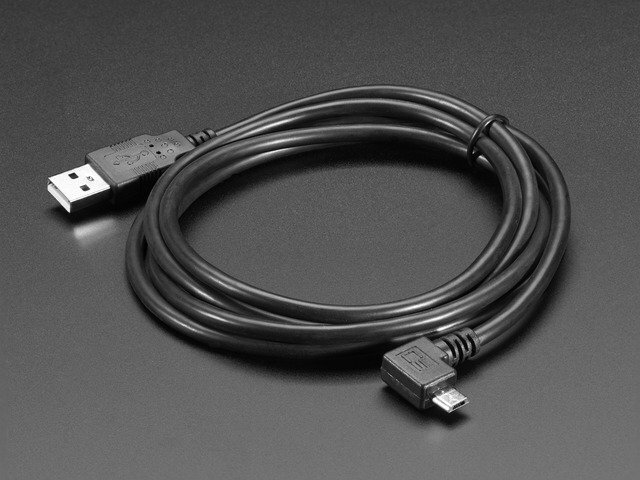 Any other cables, such as USB console cables, microUSB cables, Ethernet cables, HDMI to VGA adapters, USB hubs, power packs. We'll try to keep track of all the things that would work with the model B that no longer does! If you have an older Raspbian or NooBs or whatever (before ~ June 20 2014) do a sudo apt-get update and sudo apt-get upgrade to update your kernel & firmware! Without new kernel/firmware, the USB/Ethernet chip doesn't work so make sure you do this on a Model B since you need to have ethernet or USB to work in order to download the files over the Internet! 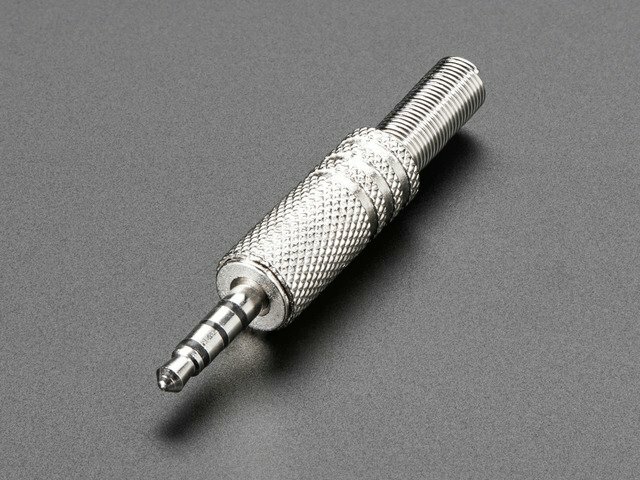 This means that Adafruit Cobbler, T-Cobbler, PermaProto Pi do not work anymore out-of-the-box. These devices depend on the I2S pins that were next to the Pi GPIO header. Those pins are now on the 'main' GPIO header! We don't know of any old Model B enclosures that still work. Since the ports have switched around, and the mounting holes moved... unless the case specifically says it works with B+ it probably doesn't! One of the most exciting updates/upgrades of the new Model B+ is a fancy new power supply. The power supply of a computer is terribly boring sounding, but its really important. A good power supply makes everything hum along cleanly. A bad power supply causes hiccups, crashes, 'bricked' boards, SD card failures, USB failures...you name it! 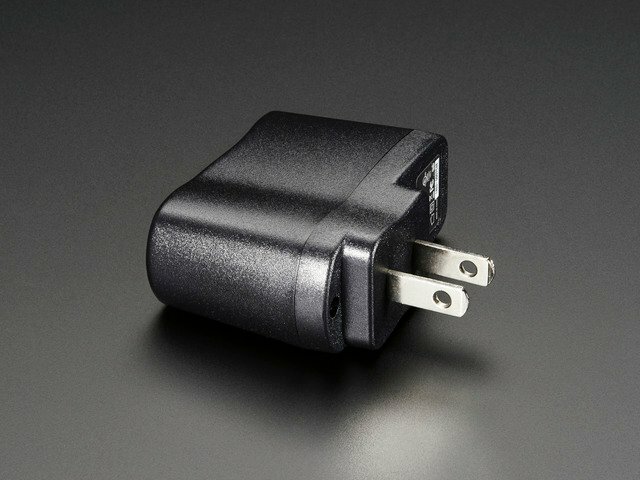 The power supply is what takes the microUSB port voltage and creates the 5V USB, 3.3V, 2.5V and 1.8V core voltages. The 3.3/2.5/1.8 are for the processor and Ethernet. Power comes in from the LEFT side of the image, from a "MICRO USB TYPE B" jack, goes through "miniSMD" F3 (a fuse) and then has a D17 (Transient Voltage Protection Diode) across it as well as some capacitors (C2, C3 and C6). That voltage is the +5V0 USB bus voltage. Hurray! In the top left you can see that +5V0 voltage going into a NCP1117-3.3 (3.3V regulator), and the output of that going into a LP2980-2V5 regulator and NCP1117-1V8 regulator. To make the B+ more reliable and actually reduce the current draw, the power supply is completely redesigned. There's still the microUSB jack on the left, and the 1A fuse has been upgraded to a 2A fuse. There's also a DMG2305UX P-Channel MOSFET. This acts as a polarity protection switch but is much lower 'drop-out' than a diode. It has only 52mΩ resistance so @ 2A its about 0.1V voltage drop. Most diodes would be at least 0.5V. To the right is a protection TVS diode (D5 part #SMBJ5) which protects from over-voltages. There is a PNP-matched-pair action going on around the polarity FET, but its 3AM and I'm not 100% sure what it's for so I'll wait till I get some rest before doing any analysis. Instead of heat-spewing LDO (low dropout) regulators, we now have a dual buck converters. These are high efficiency converters that can take 5V down to 3.3V or 1.8V without as much heat loss. They're more expensive than LDO's but not terribly so! The AP2331 is single channel current-limited integrated high-side power switches optimized for hot-swap applications. The devices have fast short-circuit response time for improved overall system robustness and provide a complete protection solution for application subject to heavy capacitive loads and the prospect of short circuit. It offers reverse-current blocking, over-current, over-temperature and short-circuit protection, as well as controlled rise time and undervoltage lockout functionality. 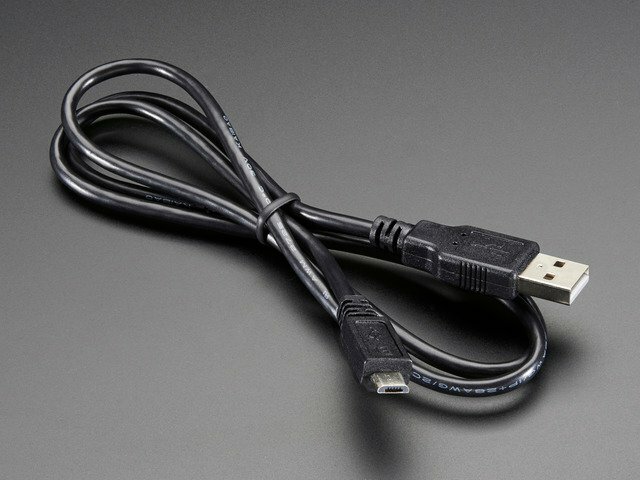 that it is used to keep the USB hot-swap power draws from resetting the main 5V power supply. Hopefully this means you can plug-unplug USB devices like WiFi adapters without them resetting the Pi. That means that most/many Pi Plates that plug into the Model B will plug into the B+ just fine. They wont sit in the same location - they'll be slid down just a bit but electrically-wise its the same. For people who love to attach sensors, buttons, displays and other accessories, there's good news: theres 9 more GPIO pins! Yay! There's also a pair of odd pins, ID_SD and ID_SC. The note says they are reserved for PiPlate ID EEPROM! What's that mean? Sounds like the Pi foundation took a hint from the BeagleBone Black design for BBB capes. The BBB capes all have a shared I2C bus for a classic 24LC type EEPROM. When the BBB boots, it reads the EEPROM and configures the bone inputs and outputs and kernel modules, etc. based on the EEPROM contents. The ID pins are likely the same, its a secondary I2C port that looks just for these identifing EEPROMs. That way the Pi knows what Pi Plate is attached. What's that, four USB ports on the new Model B+? That's right! The new Pi has even more USB ports. The original B had a 2-port hub + Ethernet controller, the LAN9512, which basically turned the 1 USB port on the processor into 2 ports + Ethernet. The new B+ upgrades the LAN9512 to the LAN9514 - a 4-port USB Hub w/Ethernet. This replacement makes it possible to plug in mouse, keyboard, USB WiFi and maybe even something else all at once. If you have an older Raspbian or NooBs or whatever (before ~ June 20 2014) do a sudo apt-get update and sudo apt-get upgrade to update your kernel & firmware! Without new kernel/firmware, the USB/Ethernet chip doesn't work so make sure you do this on a Model B since you need to have ethernet or USB to work in order to download it, eh? In order to make space for the second set of USB ports, and the extended GPIO slot, the Composite video port (Yellow RCA block connector) got the chop. The blue (or black) headphone jack also got a little bit of reworking, instead of being large and chunky it's now quite svelte! You'll get stereo (red and white) plus video on the yellow cable. If you're recycling some older cable - you may have to experiment with which cable color is which output. Different camcorders/iPods had different pinouts for audio vs video so don't be surprised if "white" is video and "yellow" is audio. It is not harmful to experiment as the voltage levels for video and audio are similar. The SD card stuck out the end of the Pi, and could come loose or snap off by accident with enough force. 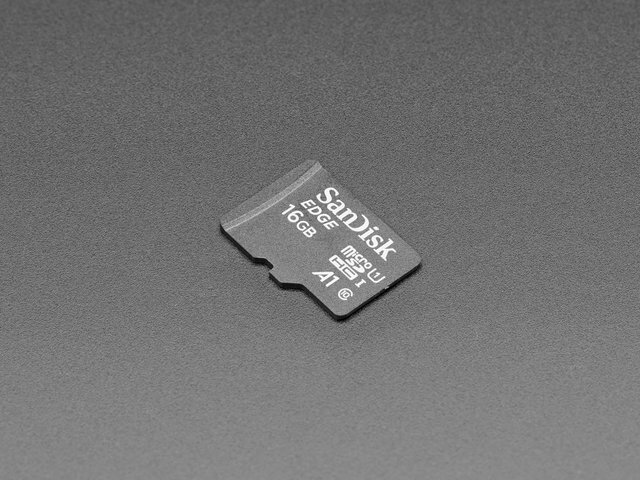 The good news for any Adafruit customers, we always had dual Micro/Standard SD cards so you can still use the same cards! Just discard the adapter. 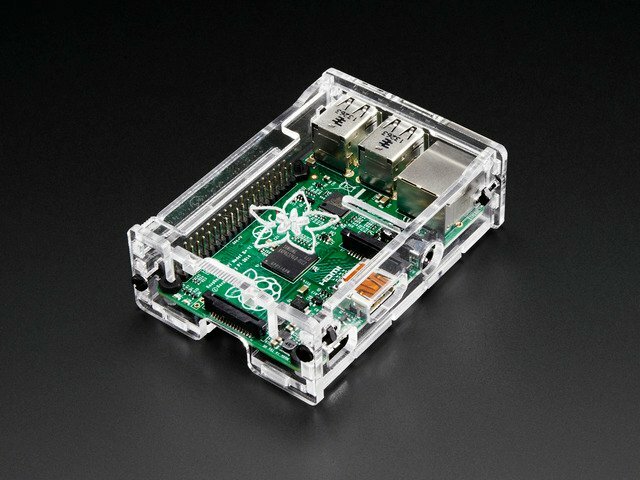 If you'd like to attach the Pi to something, you've got 4 options now! Now the model B+ has four! Note that if you have a mounting plate or case designed for the model B, its unlikely it will work with a B+! Check before purchasing! OK so a lot changed, but what didn't? Hey I just got a Raspberry Pi Model B+ and the USB/Ethernet doesn't work! To update to the latest kernel! Can I use a crummy 5V power supply? No! We originally thought there might be a SEPIC/Buck-Boost 5V supply but there isn't! So if you're having power problems, make sure you have plenty o' solid 5V power and try a shorter micro USB cable. Long cables with thin wires are the bane of Pi! This guide was first published on Jul 14, 2014. It was last updated on Jul 14, 2014. Make a Raspberry Pi into a Anonymizing Tor Proxy! 80s Vision of the Future is here!